Home / Careers / Nunziante Magrone starts 2019 with the arrival of Pietro Ilardi and Vieri Paoletti as new Partner of the Firm. Nunziante Magrone starts 2019 with the arrival of Pietro Ilardi and Vieri Paoletti as new Partner of the Firm. ROME (ITALY), Tuesday, February 5, 2019 (MERCURPRESS.COM) - Nunziante Magrone starts 2019 announcing the arrival of Pietro Ilardi and Vieri Paoletti, founding partnersof Paoletti-Ilardi Law Firm. Pietro Ilardi has gained a long experience in business, corporate and intellectual property law, at national and international level. He also works in the field of Sports Law. Vieri Paoletti, widely involved in litigation, is an expert of administrative, corporate and business law, over the years he also developed specific skills in RE. Along with the two new Partners, two more professionals, as Associates, joined the Roman office of the Firm:Lorenzo De Angeli and Roberto Mazzeo. 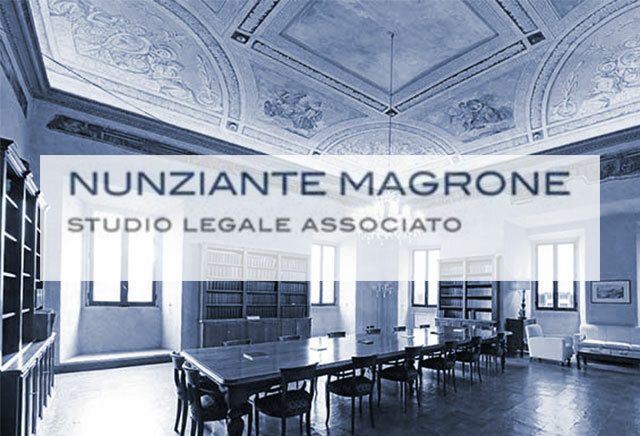 A new phase of growth is starting for Nunziante Magrone, in line with a development program of the administrative law practice as well as a strengthening of specific expertise in key practices such as IP and corporate restructuring. "Today we receive and welcome in the Roman office Paoletti-Ilardi Law Firm’s team, with whom we share the desire to carry out ambitious and positive projects", commented Gianmatteo Nunziante, Partner of Nunziante Magrone. With Italian offices in Rome, Milan and Bologna, Nunziante Magrone employs professionals with a strong international vocation. Among its clients, the Firm counts some of the most influent players in banking and finance, real estate and infrastructure, mechanics, logistics and transport, food, entertainment, fashion, chemicals, post and telecommunications, information technology and biomedical sectors. The calculation of the ROI of welfare initiatives will be discussed in Rome at a conference organized by GIDP and Granchi&Partners.